The 2018 NFL Regular Season has come to an end and this week marks the start of the road to Superbowl 53 in Atlanta. The 2018 campaign has been one of the most entertaining seasons in recent history. The Houston Texans and Indianapolis Colts started 0-3 and 1-5 respectively and both made the Playoffs along with the Seahawks and the Cowboys who were having losing record at mid-season, meanwhile teams like the Dolphins, Bengals and Panthers had winning records at midpoint of the season and didn't make the playoffs, the former two have fired their Head Coaches since then. The 2018 season showed what the future of NFL is going to be like. With young quarterbacks taking over and young coaches with offensive acumen taking over. The success of offensive masterminds like Kyle Shanahan, Sean McVay, Matt Nagy is proving that young coaches are doing a good job. The best example for that is former Texas Tech head coach Kliff Kingsbury, who was fired by Tech two months ago, is being courted by many NFL teams including the New York Jets and Arizona Cardinals, both have young QBs who can use an offensive mind of Kingsbury, If he can get a Defensive Coordinator as McVay did, he can do wonders with those QBs, just ask Patrick Mahomes, Bake Mayfield and Case Keenum, the three current starting QBs coached by Kingsbury in the collegiate level. 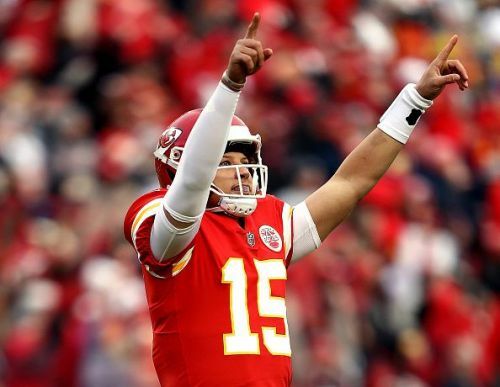 With all that said and done there are many players who flourished during this amazing 2018 NFL regular season. There are some players that peaked too early, there are some that came out just in right time to guide their team to the playoffs. Let's take a look at how the NFL Honours on the Superbowl eve could go down.